MEWP Training. Mobile Platform Training. Are all of your mobile platform operator’s certificates up to date? Fines recently issued for non–compliance are in excess of £1/2 million. MHA Training offer an extensive range of Mobile Elevated Work Platform or MEWP training courses for scissor lift and articulated telescopic boom. We can tailor them to suit the needs of the individual or the business. On successful completion we can issue an RTITB Accredited MEWP certificate or an In-House MEWP Certificate. On Site or In Centre MEWP Training. 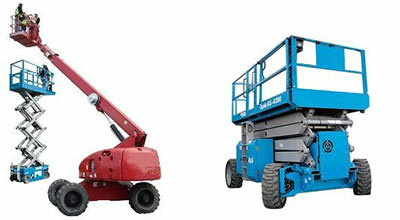 MEWP Training courses include training, certification and registration on NORS (National Operator Registration Scheme). Novice - little or no experience of MEWP operation. Novice 1 candidate – 1 day. Experienced / Untrained - For an operator with experience but not had formal training. Experienced/Untrained 1 candidate – 0.5 days. 3 candidates – 1.5 days. Refresher - For a mewp operator looking to update their skill and certification. Conversion -For an operator holding a recognised certificate on one Mewp type looking to be trained on another Mewp type. If you are not sure as to what mewp training course you require please fill in the form Contact Us or telephone on (01925) 446718 (office), 07862230077 (mobile). Alternatively email us at info@mhatraining.co.uk and we will be more than happy to assist or come and assess your current records free of charge to ensure legal compliance.